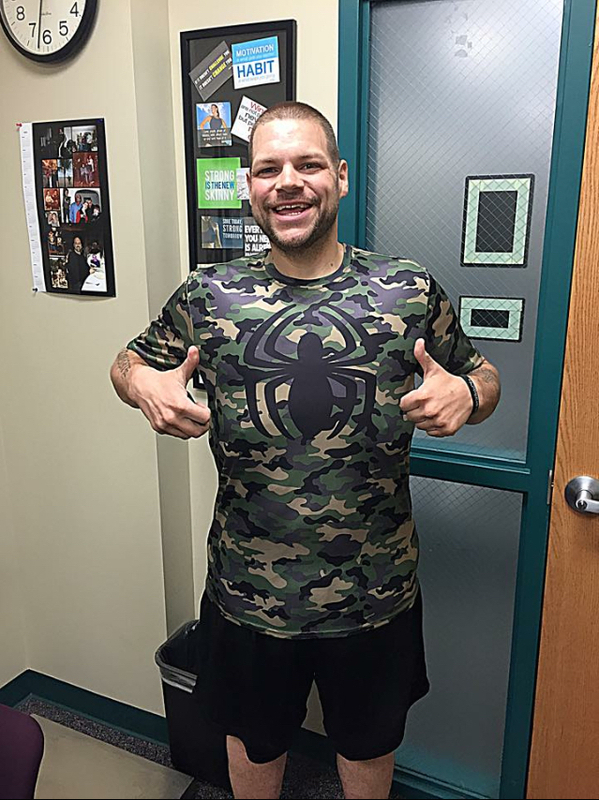 "I started my weight loss journey at an astounding 675lbs. Today, my confidence has increased and I’m no longer embarrassed of who I am. I’m very proud of the progress I have made and the person I have become, I have a vision for my life and a purpose!" I started my weight loss journey at an astounding 675lbs. It was June 2013, and I was in a desperate place. My walking was limited to about 15-­30 seconds, I was completely dependent on my family for everything from putting my shoes on to buying and cooking my food. I was unable to walk through a door way without having to turn to the side. I was wearing a size 9X shirt and shorts, and I masked my pain and depression with excessive amounts of food, alcohol and drugs. I got to a place where I was limited to the four walls of my room, and a grim doctor report that said I would be dead by the age of 30 if I didn't make a change. That brought my mother to tears and was my rock bottom. It triggered me to make an attempt to change my life and my lifestyle. Not knowing where to start, I reached out for help. I made a Facebook post stating I hated my life and I wanted to change. A dear precious friend Gina D'Adarrio was gracious enough to respond, telling me she will do what she can to find help for me. Gina immediately contacted her cousin Nick Murphy, a personal trainer and life coach at Mission Fitness. She knew without a shadow of a doubt that Nick would be the guy who would not only direct and guide me on my journey, but truly and genuinely care about me and my success as a person. Nick told Gina he would love to help me, and he required me to take the first step and contact him. 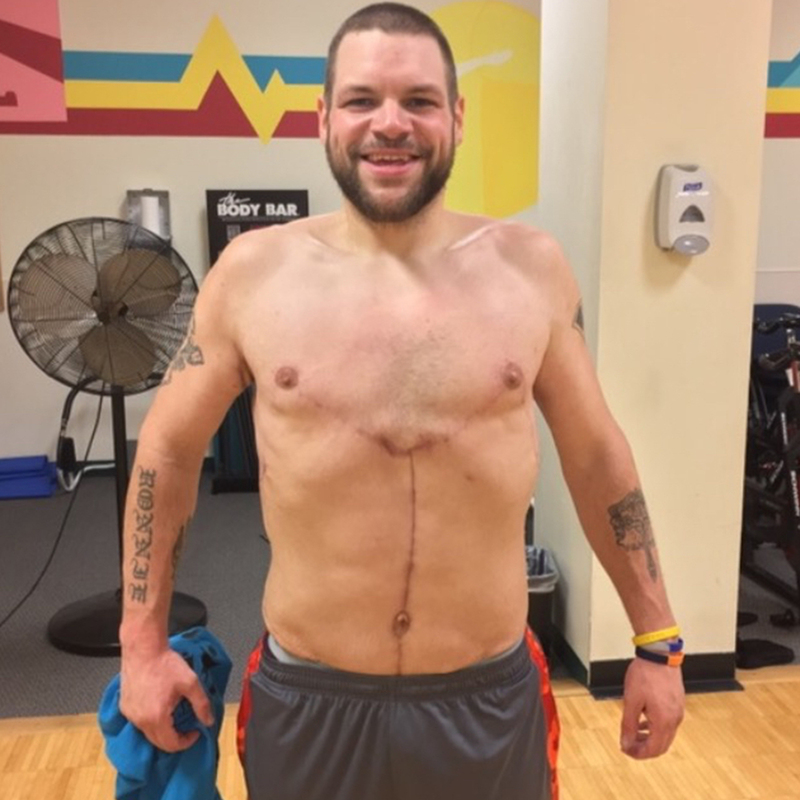 "I ANTICIPATED THE ARRIVAL OF WHAT I WAS HOPING WOULD BE THE KEY TO GETTING MY LIFE BACK." I sat there in the four walls of my room that became all too familiar to me, going back and forth in my mind, feeling a little nervous, scared and apprehensive. Finally, I sent him a personal message on Facebook and asked "Can you help me lose weight?" Nick along with personal trainer, and wife Jill Murphy met with me, we talked and I knew the two of them meant business. Seeing as how I didn’t have the finances to pay for such extensive help, they offered up their services for free because it meant saving my life. So from that day on, both Nick and Jill have generously given of their time and talent to train me day after day, week after week, holding me accountable and teaching me the way to live healthy. They have touched on every aspect of my being - spirit, soul, and body. I have hit so many goals in this journey, and it's all been done through diet, exercise, and invaluable support. One of the biggest support systems I have in addition to my trainers is my Facebook page "600lbs to Success”. My trainers advised me to start a Facebook page, and use it to help me stay accountable and also to help me stay focused on my goal. The objective was to post positive things about myself and motivational quotes about weight loss. The page really took off, and I now have followers from all over the world who follow my success and who had really encouraged me on what I set out to accomplish! I make posts on it daily whether it be pictures, videos, or motivational quotes. People that see my page have been inspired to make changes in their own lives with their weight. What was originally designed to help me, is now really helping and motivating many other people! 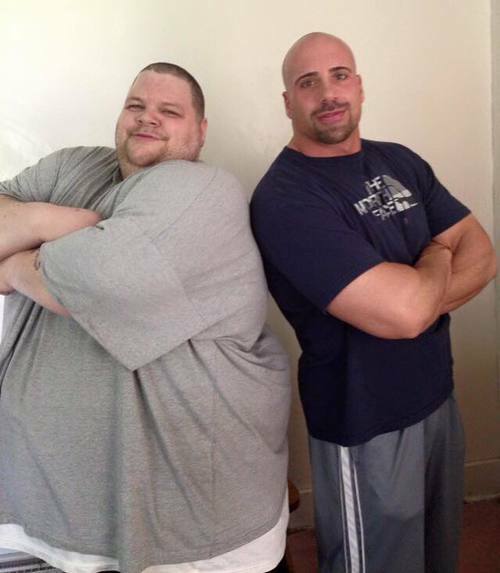 They see that if Ronnie Brower weighing 675lbs can lose weight, then so can they. "I'm getting ready for what is next, pouring my success into the lives of others I want to show others that it's possible, if you focus on what you can do, and take each day as it comes!" 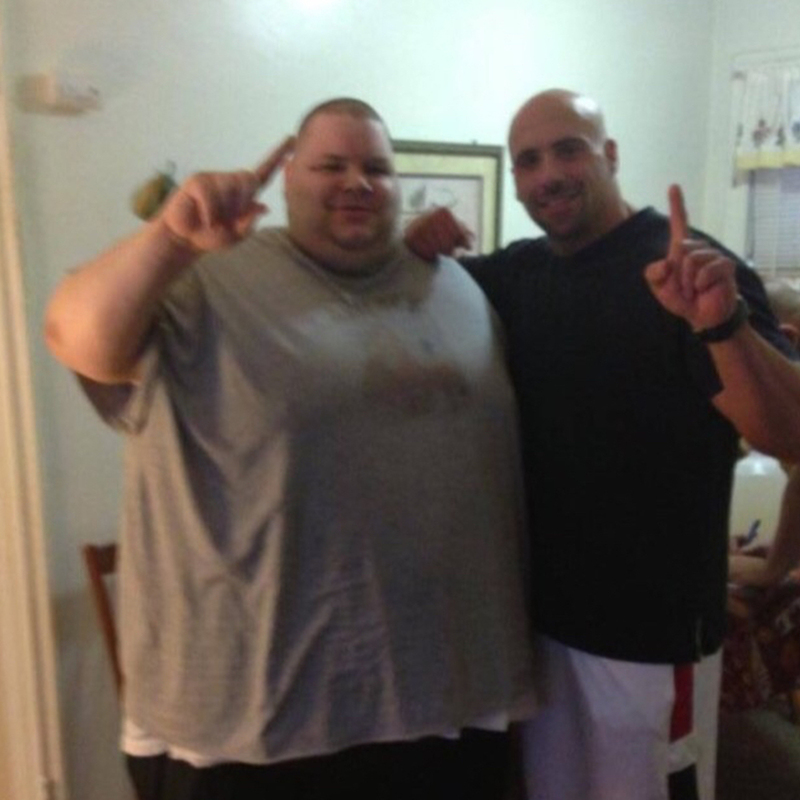 RONNIE BROWNER AFTER LOSING 425LBS. My local community has been another source of support for me. Local news coverage and people sharing my story ushered in generous donations ­ from clothes, sneakers, and supplements to financial support. Every need was met from the support of my amazing community. My weight loss journey is now over and I'm getting ready for what is next, pouring my success into the lives of others I want to show others that it's possible, if you focus on what you can do, and take each day as it comes! Ronnie has received his skin surgery and below is Ronnie featured 425lbs. lighter.